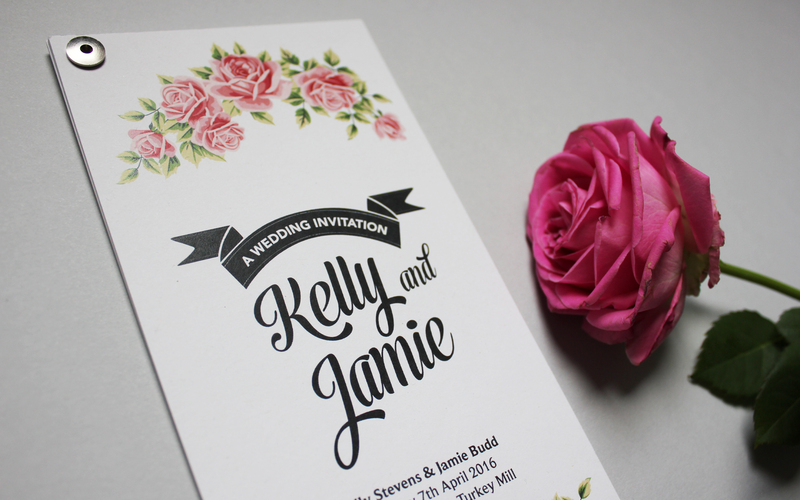 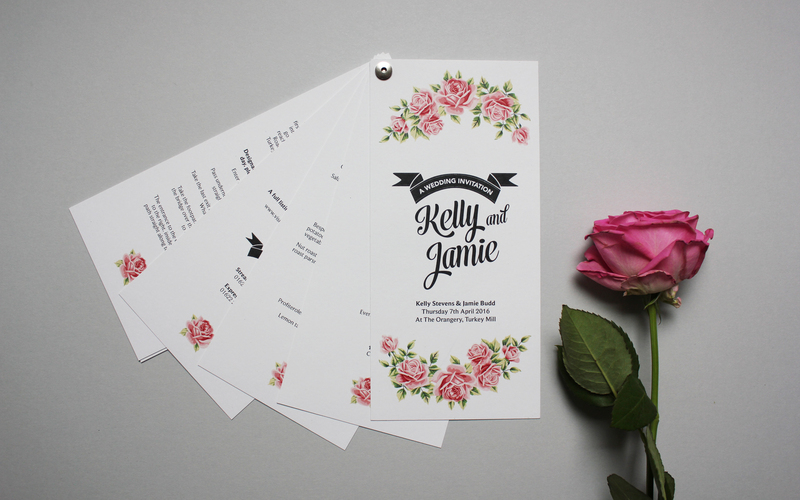 Produce custom and unique wedding stationery for a lovely couple from Maidstone in Kent. 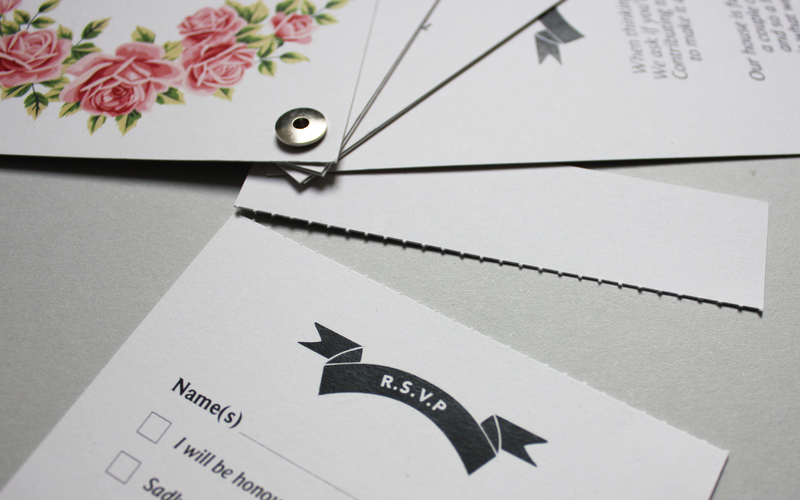 The bookmark style design contains 6 pages that are clamped together by a silver eyelet which allows the recipient to navigate through each page easily. 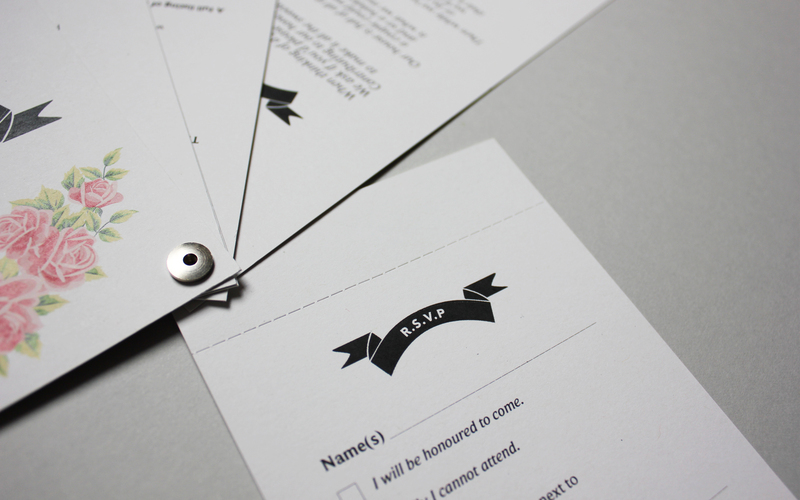 The RSVP page also contains a perforation which enables the guest to easily remove, fill-in and safely return to the Bride & Groom.